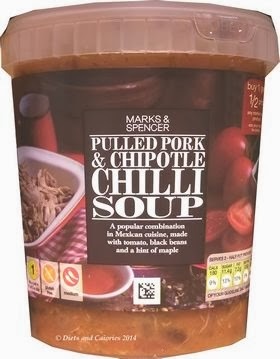 Ready to eat pots of soup are as popular as ever with most supermarkets selling a wide range of own brand soups alongside their competitors. 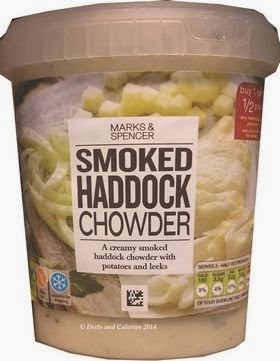 Marks and Spencer must have one of the greatest varieties with no less than 20 different flavours to choose from. 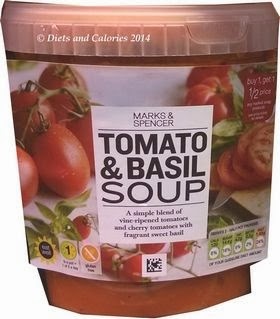 Since 2013, M&S have changed their soup packaging from a tall cylindrical shape to a slightly more squat, oval shape. Each pot still holds 600g. 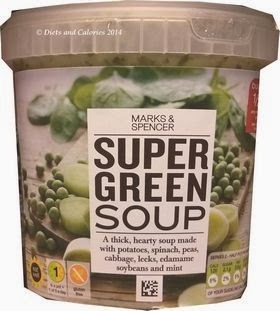 They’ve also lost one or two varieties and introduced new ones. 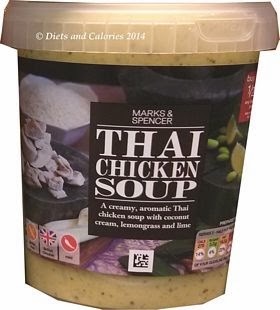 Here is the 2014 update for M&S ready to eat soup pots. 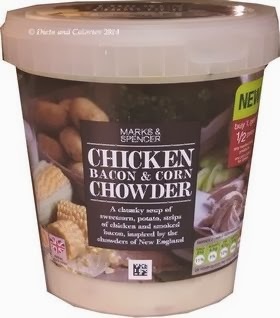 Calorie values given are for the whole pot. 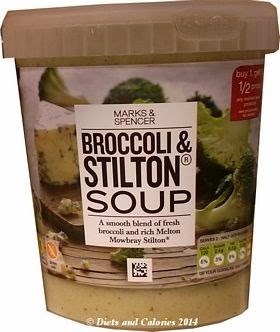 Most of their soups are low in sugar and fat and they all have a medium level of salt (only just over the amount to meet the low criteria). 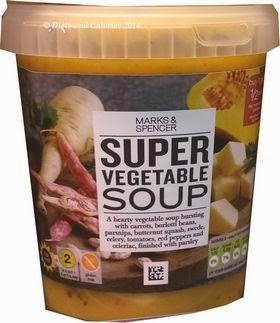 So if you’re looking for a warming, healthy and very filling meal, you can’t go far wrong with a big pot of soup especially as the majority are low in calories too! 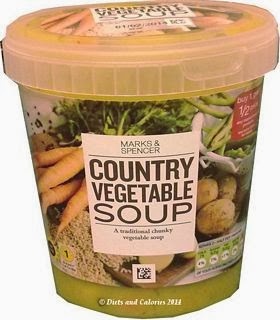 A traditional chunky vegetable soup. 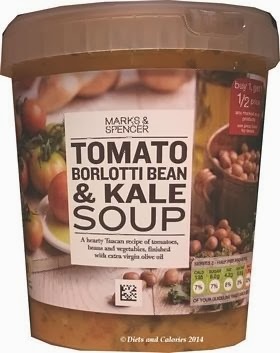 A hearty Tuscan recipe of tomatoes, beans and vegetables, finished with extra virgin olive oil. 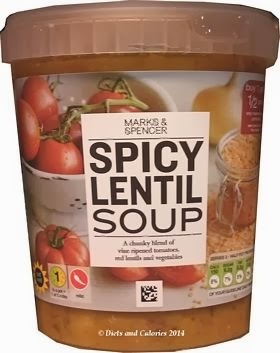 A chunky blend of vine ripened tomatoes, red lentils and vegetables. 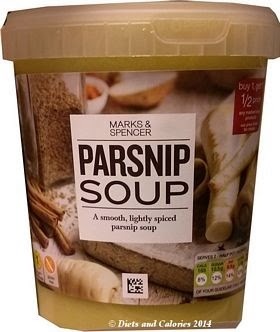 A smooth, lightly spiced Parsnip soup. 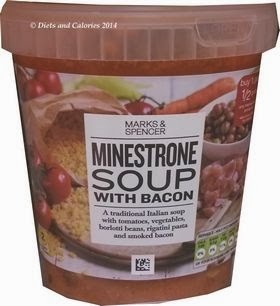 A traditional Italian soup with tomatoes, vegetables, borlotti beans, rigatini pasta and smoked bacon. 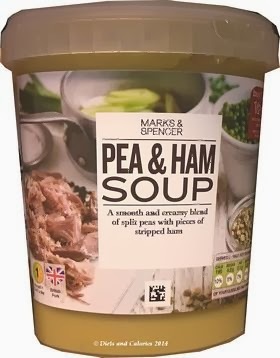 A smooth and creamy blend of split peas with pieces of stripped ham. 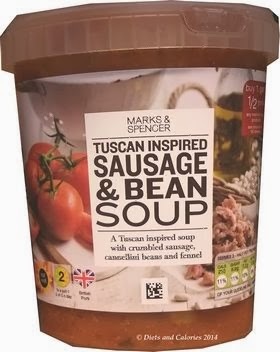 A Tuscan inspired soup with crumbled sausage, cannellini beans and fennel. 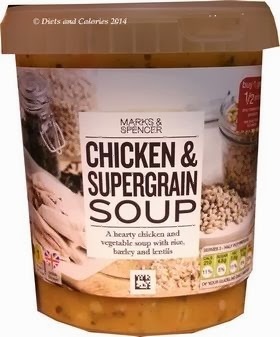 A hearty chicken and vegetable soup with rice, barley and lentils. 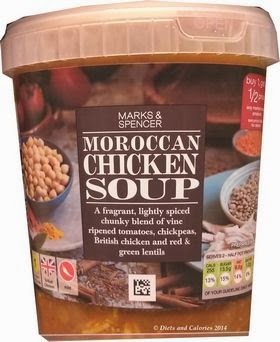 A fragrant, lightly spiced chunky blend of vine ripened tomatoes, chickpeas, British chicken and red & green lentils. 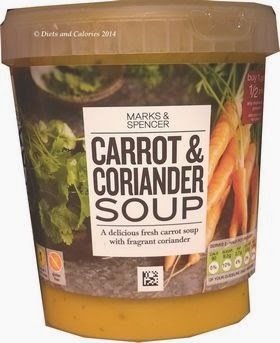 Please note all varieties of soup pots may not be available in every branch of Marks & Spencer Foodhalls. 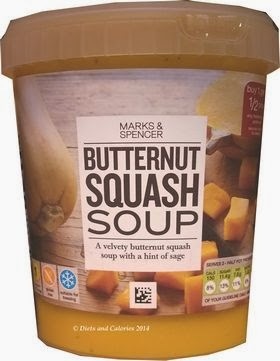 These soups actually taste like homemade soups....lovely! I agree. 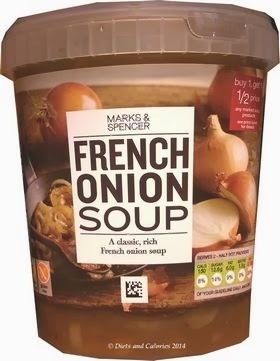 They're delicious. It's hard to choose which ones to buy!